The PMAG 40 is a rock solid magazine that follows the PMAG tradition of reliability! With just under 200 rounds through it, including 40 through a full auto suppressed SBR, (See the video below) the PMAG 40 never experienced a single mis-feed. However, you will need to re-think your kit, as the PMAG 40’s extra bulk, makes things pretty tight when placed alonside other mags in double and triple mag pouches. On a final note, the PMAG 40 features the same, “over-travel stop”, along the spine as the PMAG 30 Gen M3 and I found that it got caught coming out of my mag pouches. All in all, a solid magazine that is crazy fun to shoot! My love affair with PMAGs started about four or five years back, I had experienced a magazine induced double feed at the worst possible moment and decided, then and there, that I was never using regular GI issue magazines again. Looking back, the brand new mag probably just needed some feed lip adjustment but, I really don’t care, I use PMAGS! Four years later, I still use PMAGs and when Magpul announced the PMAG 40, I knew I had to get my hands on one! Luckily, Tucson is the home of a lot of great firearms parts suppliers and I was able to source a couple PMAG 40s from AZarmament.com, an online Magpul and Aimpoint dealer. AZarmament.com takes great care of all their customers whether they be military, law enforcement or shooting enthusiasts! Like its 30 round Gen M3 sibling, the PMAG 40 features a new, enhanced, material composition and manufacturing process providing the end user with a 5.56 magazine that, according to Magpul, exceeds military performance specifications. Internally, the PMAG 40 Gen M3 features a modified internal geometry and a stainless steel spring and four-way anti-tilt follower. Additionally, the internals are all accessed via tool-less disassembly. Outwardly, the PMAG 40 Gen M3 features a redesigned bolt catch notch, and an “over-travel stop” on the spine. The over-travel stop, is designed to stop the magazine from being over-inserted into the mag well. Furthermore, it appears to be designed not to catch on mag pouches but even with the sloped ramp and rounded edges, I still ran into trouble taking the magazine out of two separate types of kit. Outward geometry changes also mean that you will be able to use the the PMAG 40 Gen M3 in many non Colt-spec weapon platforms such as the HK 416, SA-80 and the list goes on. The extra ten rounds do add a noticeable length to the magazine and you will need to rethink how you arrange them on your kit. From right to left, US GI Mag, Gen 1 PMAG 30, Gen 2 PMAG 30 and the Gen 3 PMAG 40. The flys seemed to like the Gen 1 and 2 PMAGs better! The PMAG 40 Gen 3 features the Gen 3 base plate. The PMAG 40 features the same base plate and paint pen dot matrix found on the PMAG 30 Gen M3 released earlier this year. Also, while it is slightly thinner than previous generations, it is still too wide to clear the magazine slot in some patrol vehicle weapon racks. Also of note, is that with the Gen M3 series magazines, you are no longer able to clip the impact/dust cover on the base of the magazine (those things float around my house like lego bricks). With just under 200 rounds through it, the PMAG 40 Gen M3 never failed to feed. New outer geometry supports adoption with other non Colt style platforms. The PMAG 40 Gen M3 feels at home un your hands and gives you a sense of confidence knowing its a Magpul product. Due to its extra bulk, the Magpul PMAG 40 doesn’t play well with other mags! Noticeably larger than its brothers……. Agressive front and rear texture gives the user a positive grip. We field tested the Magpul PMAG 40 Gen M3 for around three weeks. As stated above, we put just shy of 200 rounds through it with the last forty being fed into a Proto Tactical full auto, suppressed SBR during the PT199 torture test. The PMAG 40 didn’t have any trouble keeping up with the SBR’s high cyclic rate. Throughout the testing process, the mag was treated just like any other mag and basically lived up to what I have come to expect from a Magpul PMAGs. I fully expect the PMAG 40 Gen M3 to be a durable and reliable magazine just like its 20 and 30 round predecessors. However, in my opinion, the jury is still out as to whether or not the 40 round capacity outweighs the negative increase in bulk. It will be interesting to see how many military and law enforcement units pick up the PMAG 40 and for what mission sets they will utilized on. I for one, am falling back on my PMAG 20, for in weapon duty carry, augmented by a handful of 30 rounders as back up ( Mostly because 30s and 40s don’t fit in my weapon rack). On the other hand, the PMAG 40 is crazy fun to shoot and increases your ammo capacity in a reasonable and reliable manner! What do you think about the PMAG 40? Leave a comment below and help us fill in some of the blanks! We are partial to AZarmament.com and that is where we get all our magpul products! 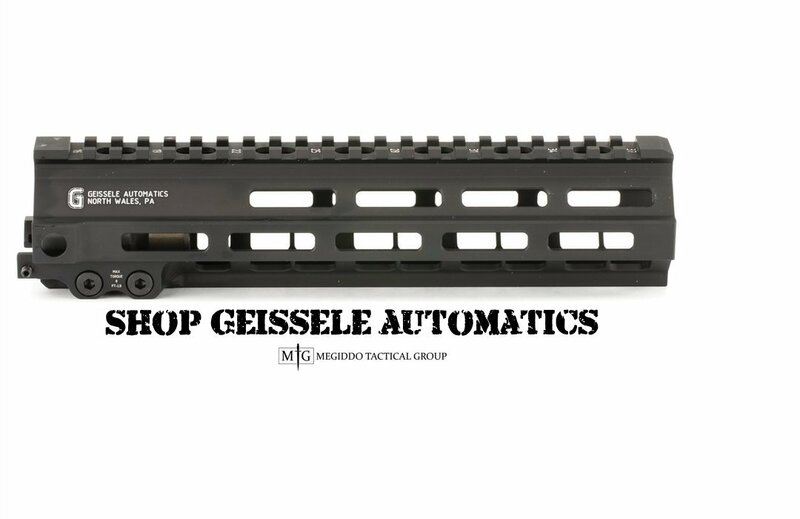 They have continually gone out of their way to provides us access to the newest and greatest Magpul products. Don’t forget to check them out on Facebook! The PMAG 40 Gen M3 costs slightly more than the PMAG 30 and you can pick them up at your favorite Magpul dealer! No idea on available colors at this point.